I've only ever played VII, and having recently bought a Vita, I intend to catch up on a couple. I've asked around and VIII and IX have been recommended consistently. Some people rank one ahead of the other but they both look really great. I'd probably rank them VIII, VII, X, IX, X-2, XIII, XII, XIII-2. They are the only ones I've played though I think I've got IV on DS somewhere and haven't really given it a go. XIII-2 loses major points for expecting you to buy the ending as DLC and then not actually ending it after all. Final fantasy 11 may be online, but it is a real game. Same as 14. they should be up there. Absolutely. They have everything the other Final Fantasy games have, the only difference is that they are online (so the apples and chocobos comment is incredibly inaccurate). Chains of Promathia and Treasures of Aht Urhgan remain to be my absolute favourite Final Fantasy plots (this is overall, not just XI). Id suggest playing it in as close to order as possible. Yay! Another person that loves FFVIII!!! Everyone goes on about FFVII but the only good thing about that was the movie. Even then, the only cool character was hide (If you listen to X Japan, you'd understand). 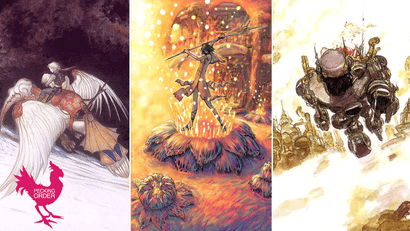 FFVI was definitely one of the best ones too. Personally, I'd rate it higher than 8, only because 8 did that stupid amnesia bullcrap and didn't make Zell the main character. My favourite line-up was Zell, Irvine, Selphie (back in the PSX, if you used her limit break, you could open the disc and it'd pause on her limit break and keep cycling slots until you get "The End"). 1 - 9 are all on sale on the PSN at the moment for half price. I don't think 7 is on sale anymore for whatever reason. Vagrant Story is up there with FF VIII as my favourite JRPG games. FFIX is great and certainly charming, but it didn't resonate with me the way VIII did. You should definitely play both, and I endorse VIII before IX. I think even though they're not a series as such, the best way to experience multiple FF games is in order. Basically if you're playing anything between VI and IX you're in the sweet spot for the series. I don't think you can really make a wrong choice. I don't think you can go wrong with 6, 7 or 9 anyway. 8 is polarizing. It seems more common these days for 8 to be liked but overwhelmingly negative opinions about it like mine are still pretty common too. I'm part of the camp that really liked 8. But there's no doubt that the 6-9 block is the high point of the franchise though, even if 8 wasn't as good, 9 was. On the plus side i'm sure you would generally know pretty early on if you were going to love it or hate it. Its not like 15 years ago where if you didn't like it all you could do was complain for a year or 2 till the next one came out. 4 and 6 are by far my favourites, 5 is right behind those, I liked the gba ports of 1 and 2 quite a bit and the DS remake of 3. I liked the first half of 8, never really played the others except 7 which I really didn't like. I'm actually a fair way through the gba port of 5 right now. I'm not sure if I can agree with you on this list but I do agree that the music from ffvi is amazing. The harpest at my friends wedding had a list of video game music to play and one of those tracks was the intro to ffvi. We all had the biggest nerdgazm it was amazing. X was my first but I'm in the IX is best club. I've played I-X-2, XII-XIII-2 but only ever finished VI, VII, IX, X, XIII and XIII-2 so out of them I'd probably go IX, X, VI, VII, XIII-2, XIII. VI was awesome but the second half really brings it down :(. I've only played X so I've got a fair bit of catch up to do one day. XIII wasn't great, but I don't think it deserves to be last on the list. That's definitely a political placement. Its visuals were lush, its soundtrack was all right, the voice acting better than FFX, the story was bland and inoffensive, and the combat system was fresh, fast-paced and innovative. Should be somewhere in the middle of the list, I think. I think some people allowed their genre expectations rule their experience, instead of appreciating the things that XIII actually did right. It wasn't a perfect game (not even close), but it did do some things really quite well. Which is the black sheep? The article says FFII is the black sheep. Riiiiight. I've only played the balanced PSP remake. XIII's story was atrocious. I reread the plot synopsis during the loading screen every time and was left thinking "whatever, I'll just keep playing and it'll sort itself out". The characters were generic and the dialogue horrendous. The graphics were amazing, but why am I fighting a gunblade as a final boss? Snow and hope's relationship was the only real conflict worth caring about. As for breaking conventions and expectations, I believe FFXII deserves that in its defense. But hey, opinions. Wow, thought I'd take a quick squizz at why he thought IX was great and noticed some pretty big spoilers. I know they're old games but a warning or getting rid of it would help the series new commers! But at least, since I plan on playing Vagrant Story, then FF 8, then FF 9, maybe it'll slip my mind in the 100 hours or so of gaming in between. Personally would swap 8 with 12. My ranking is, IX (Vivi rocks) VII, VIII, X, VI. I didn't play much of 6 to rank it honestly but 9 with its unusual characters rather than anime kids and it's kinda ye old English meets steampunk feel was what made it stand out. Plus as I said Vivi is the best character ever! IV (II-US) is by far my favorite. 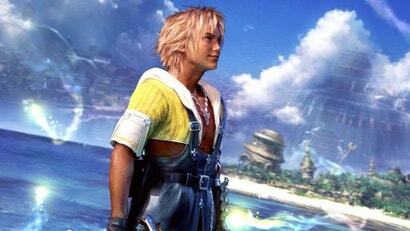 BEST = Final Fantasy X (PS2) "cannot wait for the remastered HD version in PSN!" WORST = Final Fantasy X-2 and XIII (PS2/PS3) "X-2 is just arghhh and XIII has no ADVENTURE/EXPLORATION in other words... too linear..."
That's my vote! I love you YUNA!!! 9 is a real favourite after all these years and still eminently re-playable which is more than can be said about some of the older FFs. I have to give a shout out to FF Tactics, I know it's not allowed in this list but the reason I would place FF12 higher on my list is because of the relationship between 12 and Tactics. Here are my favourites (of the ones I've played) though: FF9, FF7, FF6, FF12, FF5, FF8, FF13 and FF10. I'd put Tactics in above FF7 if allowed. Ah the linear argument again. Because Final Fantasy x wasn't. IX and XIII are my favourites and when I played Lost Odyssey I was happy to see they'd nicked the learning thingy from IX. mine would be 8, 9, 7, 10, 12. 13-2, 13. Oh god i Hated 8, squall was a terrible character, worse than Tidus and I don't take saying that lightly. Seven of course, was just purely epic. Six, I really liked the world in six, the kind of steampunky old + scifi merging. Nine was great cos it was kind of a retake of vintage FF. I feel bad putting 12 so far along, but the characters, plot and etc in tweleve were just terrible, the gameplay I put up with, but in the end I hated half the cast, no point really made me sad or drove me emotionally, It was really lackluster writing wise. Only FF game I've played is XIII and that's because it was bought for me as a birthday present when it was released. Alas, it's on my pile of shame...I play it maybe once a year to progress a little further in it. As my first exposure to a JRPG I think it did sour my view of the genre somewhat. XIII doesn't feel at all like a JRPG, honestly, and that's one of the main reasons people were so down on it. Gotta say, really didn't enjoy VIII. The only one I didn't finish. XIII wasn't great either, but at least the endgame got slightly more interesting. XI is definitely my fav, hands down. Vivi for Prime Minister... or something. Same. VIII never engaged me at all, even as much as I tried. IX and VII got me straight away though. I'd recommended X as well, even though it feels it is a bit of a long haul at times. These are the ones I've played. I've finished FFVIII 3x, FFVII 3x, FFX 2x but never finished FFXII or FFX-2. VIII then VII then IX then who cares. Love them all! hmm no mention of final fantasy tactics? That installment is definitely in my top 3. FFIV is my favourite. I'm fond of the majority of them but second place is quite distant to IV. 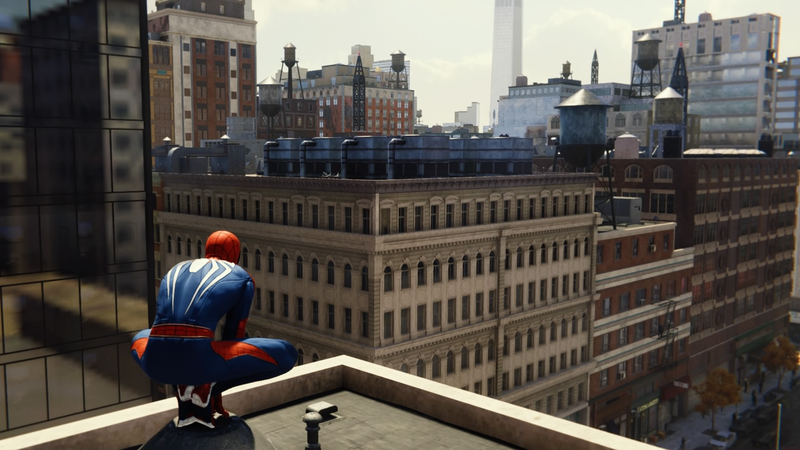 Love that game. edit: just read Jason's take on IV. Well... that's just your opinion man.